Four friends who hadn’t seen each other in 30 years reunited at a party. What happened next surprised everyone! After several drinks, one of the men had to use the rest room. Those who remained started talking about their kids. 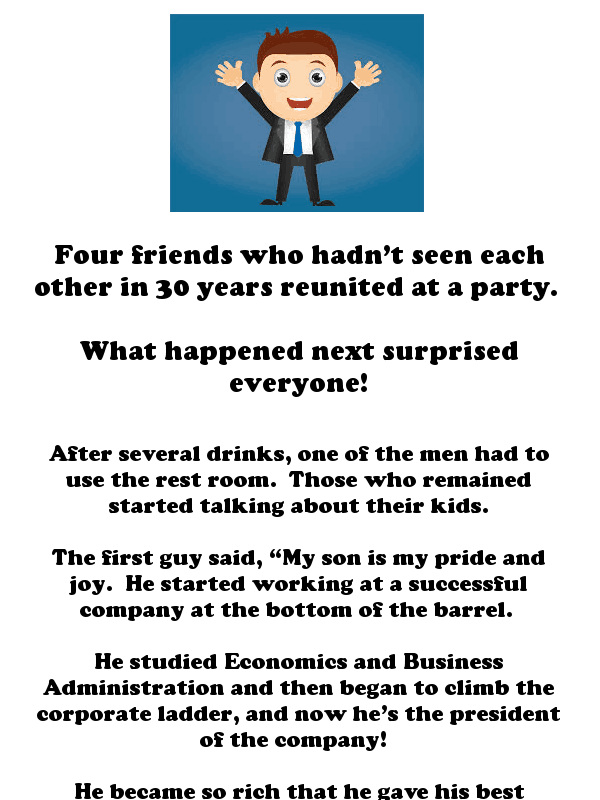 The three friends congratulated each other just as the fourth returned from the restroom.